This week a hearing is taking place in Vesterbro Ungdomsgård for the future development of the front yard. 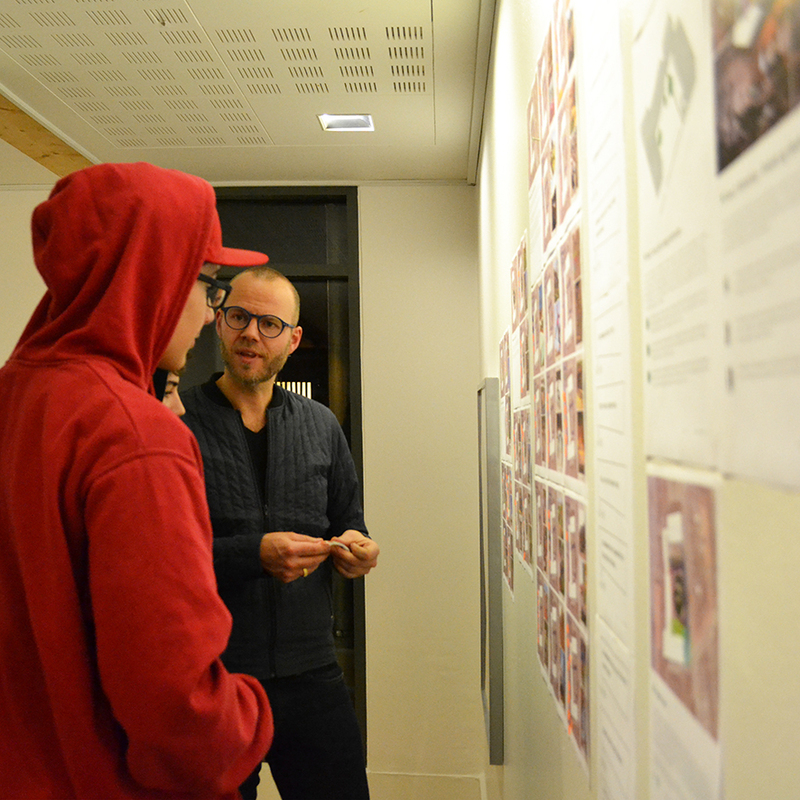 If you are interested in how Vesterbro Ungdomsgård would look in the future, you can drop by and cast your vote on the many suggestions that are hanging on the walls. We are going to be present there today (16.03) from 14 to 17 and tomorrow (17.03) from 17 to 21 to walk you through the different suggestions made by Vesterbro Ungdomsgård’s staff and member and to hear yours. arki_lab’s collaboration with Vesterbro Ungdomsgård started in 2014 when arki_lab conducted a series of architecture workshops with Vesterbro Ungdomsgård members to identify their needs and wishes for the front-yard while teaching them how to design and visualize their ideas. Based on these workshops, a series of scenarios for the front yard was developed. These scenarios were put into test, using around 20 movable boxes that could be arranged into different compositions to produce various spaces. Read more here. After testing out the scenarios, now it is time to build something more permanent in the front yard. This new development is partly founded by Vesterbro Ungdomsgård and partly by the Danish Arts Foundation and is consisted of two main phases: during the first phase, or the architectural project, a series of workshops are conducted to collect ideas and inspirations from the members in order to design three elements in the front yard. These three elements are: a long bench, a lounge and bonfire area and outdoor kitchen. So far, arki_lab has facilitated three workshops to design the long bench and the lounge area and the rest of the workshops would be conducted before the end of March 2016. The second phase is developing the entire front yard. This development would be based on the outcome of an extensive series of workshops together with the members and the staff. An overall landscape development scheme would be prepared for the front yard that will contain the zoning, functions and an overall schematic design for the front yard. This program would be given to a developer and would be further detailed and finally built. The current hearing is part of the second phase and it aims to choose the best ideas out of all the input we have gathered from Vesterbro Ungdomsgård’s members and staff during the workshops, so we can prepare an inclusive program that responds to all the needs and wishes. Drop by and let us know what you think. Your opinion matters! You will find us at Absalonsgade nr. 8, 1658 Vesterbro.